Figure 8. L. Linsbauer’s photometer. Left: a picture of the unit. 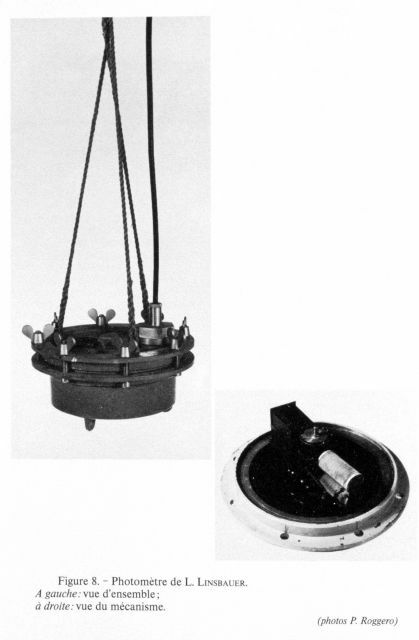 Right: a picture of the internal photometer mechanism. This instrument was invented by Ludwig Linsbauer for use in fresh water. It was used in Lake Traunsee in the northern part of Austria in 1904 at small depths.